By Carpaccio out of Bellamina, she is a full sister to Carpe Diem. This young filly has the best jumping style of all the Allander horses that are jumping so far. She has power off the ground and a great Bascule! She has never been seen to touch a rail and relishes her time down the free jumping lane with great enthusiasm. Was started under saddle by Dave Marshall at DM Training in late 2009. She takes to her work with an intelligent kindness. By the Holsteiner Sire, Carpaccio, known for producing dressage horses with great movement. Carpaccio’s sire Caretino is renowned for producing prolific jumping horses. We believe we see Caretino in this young filly. She would be a super star in any jumping yard. From our fantastic mare Bellamina known for producing very athletic horses with the likes of Allander Rocket who had a resting heartrate of 28 beats per minute. 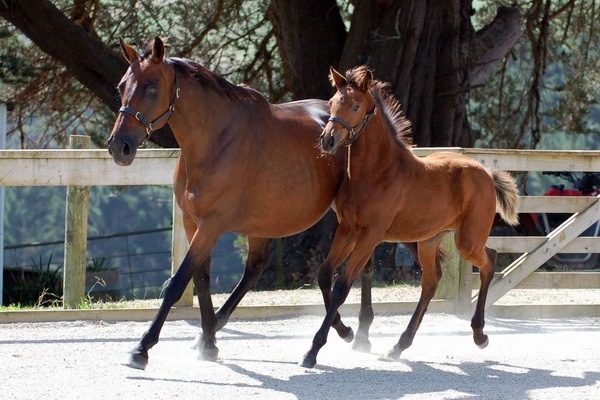 This filly pedigree makes her an ideal eventing prospect.